Things to do in Biarritz when you're Six. - Who's the Mummy? Things to do in Biarritz when you’re Six. Last week Flea and I flew off to Biarritz in the Aquitaine region of France – to save you looking at an atlas (like I did), it’s the South West coast, just above the border to Spain. It’s not a part of France I’ve been to before, but we were invited there by Al Fresco Holidays to review the Yelloh! Sylvamar holiday parc. The parc itself is probably one of the best we’ve visited in France. The accommodation (a Vivaldi Luxe 3-bed mobile home) was spacious, clean and came with air-conditioning and PROPER beds. There’s a good on-site shop with a bakery, decent evening entertainment for children, a lovely play area, and possibly the best pool Flea has ever seen. There’s also a lovely-looking spa on site but at 12 Euros to go in, and 70 Euros for a massage, I did think it was a bit on the expensive side. 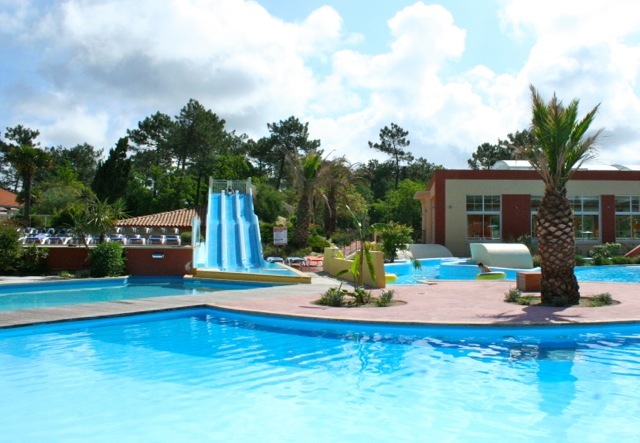 At Sylvamar, there is a children’s club which runs scheduled activities for two hours each morning and afternoon. We’ve used these clubs in the past – unfortunately for us this time, all the other kids attending were Spanish and Flea was too shy to join in! 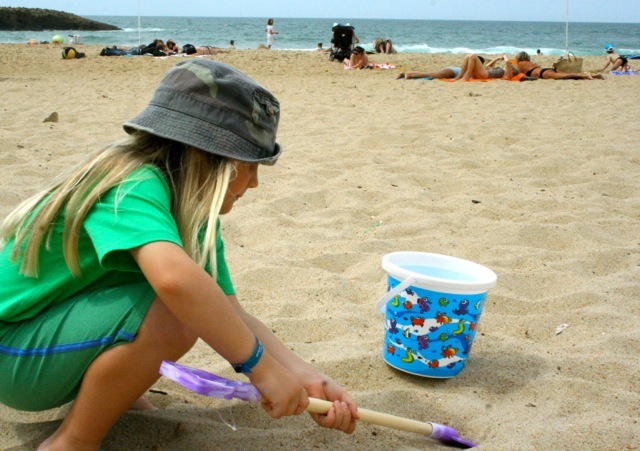 So, what are our top tips for people visiting Labenne/Biarritz with children? There is a beautiful beach at Labenne, which is just a 10 minute walk from the parc, but like all the beaches in this area, it’s far better for surfing than paddling. There are a few cafes and play areas, too, and the beaches are big enough not to feel crowded even on busy days, so it’s a great spot for a picnic. Heading into Biarritz, head up to the top of the hill to visit the Musee de la Mer, France’s oldest aquarium. 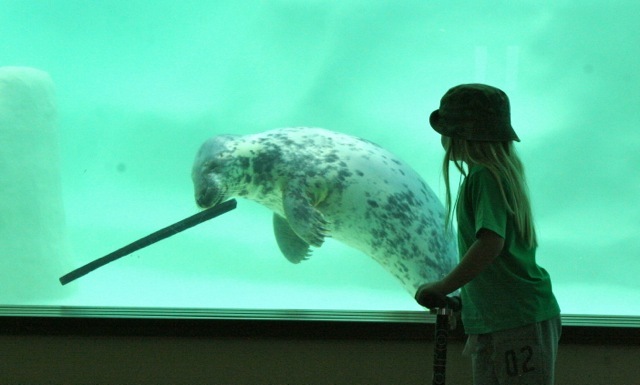 The museum itself is interesting, but our tip is to head straight up to the top floor where you’ll find a whole floor of gorgeous aquariums with sharks, sea lions and tropical fish. Take the exit on this floor rather than the main lobby, and you come out onto a cliff-top, with gorgeous views over the Grand Plage, and the town of Biarritz. If you have teenagers then Hossegor makes a brilliant destination – it’s Europe’s top surfing beach, and the wide open sands are perfect for beach games – although the waters here definitely aren’t suited to smaller children. Hossegor also has a brilliant collection of surf and skate boutiques, intimidatingly cool cafes and bars, and a fab jewelry and craft market on Friday mornings. There’s surfing all year round with the world women’s championships in June and the Quiksilver Pro Surf competition in September. If you have younger children, then stop off at Lac D’Hossegor on the way to the beach – this inland tidal lake is perfect for paddling and bathing, and there’s a great playground along the shoreline, too. You can fly to Biarritz or take a ferry to Caen and drive to Labenne, but if you’re not too rushed, a nicer alternative would be to take the longer ferry trip to Santander, and travel via San Sebastian. This beautiful Spanish harbour town is about a 90 minute drive from Labenne, and the old town is home to some of the best tapas (or pintxos) in the world. There’s also incredibly expensive designer shopping to be had, if that’s your bag! All in all, I think we’ll return to this part of France – the weather was definitely warmer than the Vendee, for example, and our really helpful reps from Thomson Al Fresco told us that during half-terms in particular, the resorts further South tend not to be so busy as those in Northern France. If you’d like to see more photos from our trip, I’ve shared some on the Facebook page. NB: All accommodation and travel costs were covered by Al Fresco for the purposes of this review. All opinions are our own. Previous Post Skipping the Jubilee Jubilation. Also, I have learnt my past mistakes after reading this post, very insightful and well written review, thank you for opening up my mind! Looks utterly fab. I only ever go to the South or Paris so must consider this next time. It was new to me, but really great especially for those with slightly older kids. Expensive designer shopping? You’ve brought plenty of gorgeous presents back then? I’m not bitter of course. It looks really lovely. And we had a heatwave here while you were away. That’s 100% true. Ignore anyone who tells you otherwise. I’m sporting a lovely tan. Goodness, yes, you’ve got a lovely colour, haven’t you? Hey Buddy!, I found this information for you: "Things to do in Biarritz when you’re Six.". Here is the website link: https://www.whosthemummy.co.uk/things-to-do-in-biarritz-when-youre-six/. Thank you.